NAB at Urbana – North American Baptists, Inc.
“Come and see.” The NAB International Missions department is heading to Urbana 18 in December, and we invite our NAB family to join us as we seek and discern God’s heart for mission and our place in God’s global mission. Urbana is the largest student missions conference in North America. It began in 1948 as a missions gathering of 575 students and has become a catalytic event of over 250 missions organizations and seminaries and more than 16,000 delegates, with a diverse mix of students, faculty, graduates, pastors, and church and ministry leaders. We anticipate and expect that God will do great things in our midst during this week as we seek, listen, and discern. Our presence at Urbana 18 will be two-fold. We will have an exhibit booth to meet and connect with future international missionaries for our NAB fields and to hear and tell stories of how God is stirring in the hearts of those He is drawing to the international mission field. We are also scheduling two gatherings: one at the beginning of the conference, with lunch provided by the NAB, and one near the close for the NAB family to come together to discuss what we heard during the week and how it applies in our context. We want to draw the NAB family together and collectively ask, listen, and share what God is doing and calling us to in the NAB. The NAB is on mission, and we mean it. “Ponder anew, what the Almighty can do” and join us at Urbana 18. For more information about Urbana 18 or to register online, visit https://urbana.org/. If you have any questions about the NAB at Urbana 18, contact cyoung@nabconf.org. 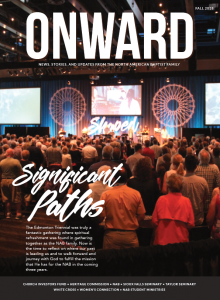 The most recent edition of Onward celebrates the ways God’s spirit moved among us at Triennial 2018 but also explores the ways God is continuing to move among us and guide the ministries of the NAB, our churches, and our partnering organizations. We know that both Triennial and the exciting ministry ahead stem out of the deep work of the Holy Spirit in our conference. Onward will be in mailboxes this week. 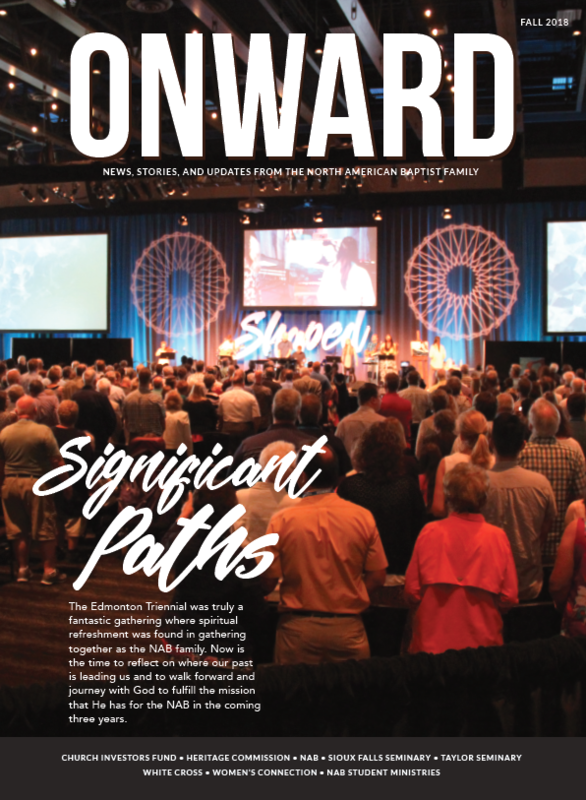 You can also click below for the digital version online to read about the ways God is leading the NAB forward as we deepen our commitment to missional living, spiritual formation, international missions, church planting, and cross-cultural ministry. Todd Toole, MercyChurch, Hebron, Kentucky. Todd Toole serves as lead pastor of MercyChurch in Hebron, Kentucky. MercyChurch began meeting in the summer of 2015 and officially launched that October. They moved from a hotel conference room to a leased facility in January 2016. Pray that the church would continue to reach the people of Boone County, the fastest growing county in Kentucky. Pray as well that the church would live up to its mission of offering impactful worship experiences, providing effective discipleship opportunities centered on small groups, and constantly being focused outwardly by serving others. To find out more, visit www.facebook.com/MercyChurchKy.